Shopping is one of favorite activity among others when you are traveling. And yes, sometimes it will cost you a lot for some reasons. Mostly because you are buying like souvenirs at the mall or some other shops located on the main downtown where almost anything there are expensive. The first thing you need to know for saving money when traveling is, almost every local markets across Indonesia are very cheap and mostly you won’t need a single doubt about the quality. I know you can’t find a high, international plus original brand over there, but the piracy one. But if you are looking for a handy-craft made of the local people, you may want to set the local market around as your main place for shopping, especially when it comes as souvenirs for your friends and families. Another thing you need to know is, people from USA, Australia, and many countries in Europe mostly seen as the richest one with a lot of money. No matter how poor you could consider for yourself, you still have big chance to be seen as the one with a thick pocket. Then it will give chances to the sellers to raise the price of what they are selling to you. Not all of them, but maybe just some greedy human being to reminds us that they are exist. It’s not about how to recognize them, but this will become one of some reasons you have in mind－How to keep on saving and not to be tricked by the others. To be exact, I will tell you how to bargain with sellers in local market or bargain-able shops in Indonesia. Don’t get yourself stopping by in one shop only, but also let your shoes stepping aside to the others. Many difference shops sale some similar goods or souvenirs, so you can compare the prices between two, three or more sellers and determine which one will have the better offer according to the quality and the price you need to pay. You are in traveling and you are happy. You are also have enough money or maybe more than you need just in case to anticipate something else coming up. The only thing you know and feel is you are the better person, whether outside or your soul. What I see about that is you are almost the perfect person could give anything to the others since you know that you are capable to do so. Your current condition might also mean that you can spend more money, lightly. And the more chance for the “naughty” sellers to get benefit from you. You know what I mean, right? So when you find some interesting goods, keep yourself calm. Don’t hold the goods for long times, etc. Simply let the sellers keep on guessing what you are really looking for. You can also ask for the price, discount, and something else. But, it is important to show your face and gesture as if you don’t really need what you just asking to the seller. By doing this, sometimes they suddenly will get the price down or offering you more discounts and even doubled the quantity with the same price and many more. Assuming that a souvenir is sold for about $1, what if you could get two and pay only $1.5 or even lower?! Yes it is happening all the times in Indonesia. Just ask for it at the first place, why not. 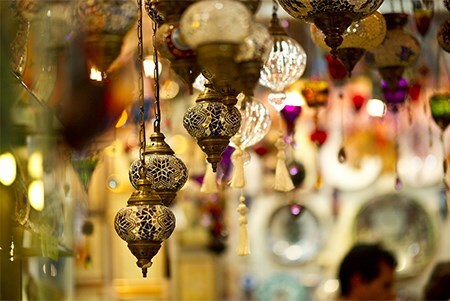 You can also buy more with the same souvenirs or not and ask the sellers for more discounts. That’s really normal in Indonesia to do so. Bargaining. Is also a very common thing in the local market. And when you are doing it, make sure to name a half from its original price you’ve just heard. Not a matter at all. Instead, many will really appreciated it. They even will tell you the reason why they can’t accept the price you’ve set. At least, you may find that bargaining will reduce the price about 20% up to 30%. Sounds interesting?! A big YES from me. There are 3 common words and sentences I always be hearing, that the foreigners keep on using when traveling in Indonesia. Thus are: “Terima kasih” or thank you, “sama-sama” or you are welcome, and the last one is “berapa” similar to ask about “how much the price …?” of something. Some or even many Indonesians are gladly to hear the foreigners saying thus words. And some of them will became an over-prouded Indonesians, thinking that their language spoken by the foreigner. I don’t even know the reason why is that happening. But it still continuing up until today. Imagine when you are in local market and want to buy something using Indonesian’s language, you’ll might end up with many goods without spending a single penny. I mean, you can always choose to improve some of your vocabularies and how to speak well in another language. If that couldn’t help you, at least you have put a smile on other’s face. Yes. When you have used the 5 steps above and the result does not like you need and want, pretending to go out as if you want to go to the next shop or just like you want to leave. It is always or at least has BIG CHANCE to win the price you’ve set. Most of the time, it works for me. Scarity. That’s what i try to put in the mind of the sellers. They won’t be happy to see me out and knowing that I will buy the same souvenirs at another shop, right?! They will calling you right after the moment you are turning around. And there will be 2 things happening. The first one, they will give you more discount but not as you have offered before. And the next one (which is the best) is the sellers will follow along to what you have said earlier. Those are 6 things to do when dealing with sellers in bargaining to get lower price of goods when traveling and need to be saving money in Indonesia. Feel free to share this article to help others or yourself, who knows you might need it on your next journey. Thank you.